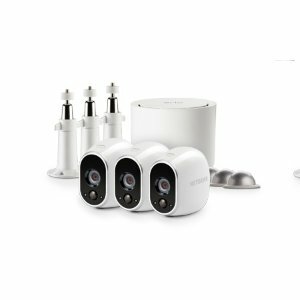 Walmart offers the Netgear Arlo 3-cam System Bundle for $199. Features: The Arlo camera is a 100 Percent Wire-Free, completely wireless, HD smart home security camera – so you can get exactly the shot you need – inside or out. The Arlo camera is weather-resistant and includes motion detection, night vision, and apps. It can capture clips and send you alerts whether you’re at home or away for round-the-clock peace of mind.